Each year, the team at Luftgekuhlt seems to outdo themselves. 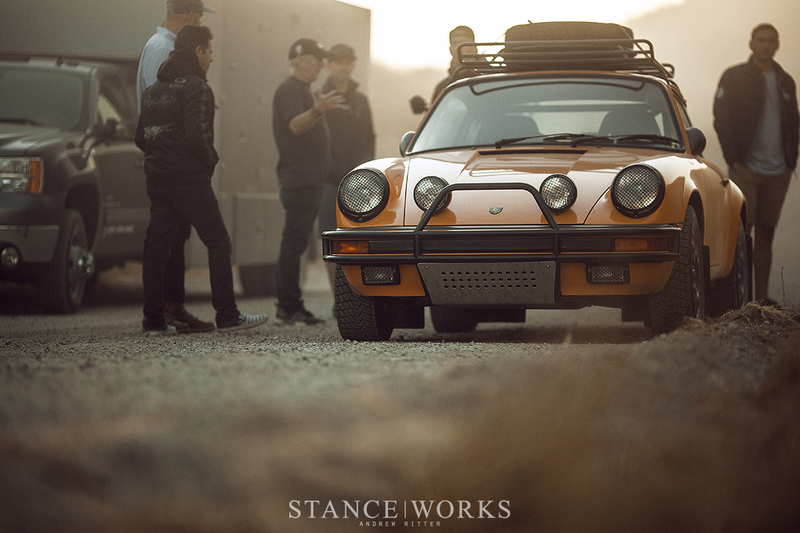 What once started as a small gathering of friends around a handful of air-cooled Porsches has quickly become one of the events of the year, growing in size and "cool-factor" at an exponential rate. Last year, in the spring of 2016, they threw in an extra curveball, introducing an unexpected build under the moniker, "LuftAuto." 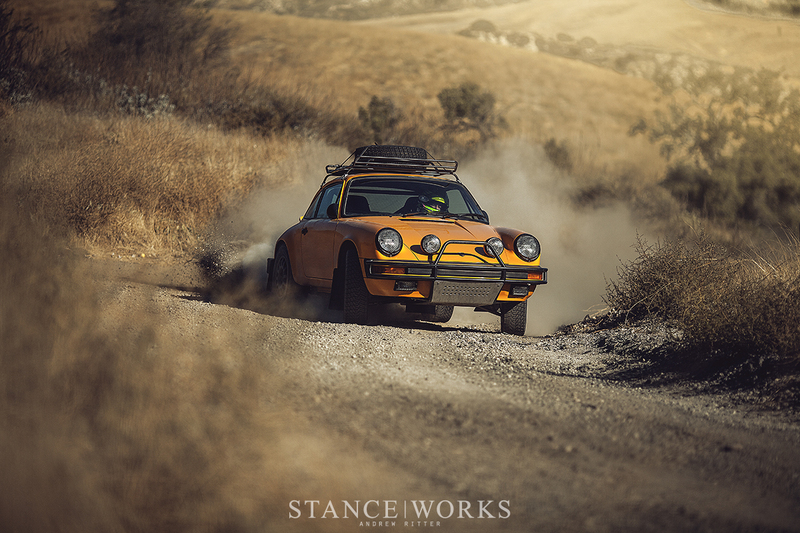 In a sea of lowered, sporty Porsches, a lifted Porsche drove in, modeled after the historic safari 911s that competed with great success in the East African Safari Rally and the Paris Dakar Rally. It was a huge departure from the norm, but it was met with resounding excitement as a crowd gathered around the stage where the car sat. Casting aside the usual gavel and spotlights, RM Sotheby's took in bids from the anxious crowd in an auction to aid pancreatic cancer research. Before long, LuftAuto001 went home with its lucky new owner and another incredible Luftgekuhlt had concluded, leaving us all to wonder how they'd improve on such a perfect event. I'm still not certain how they do it, but the Luftgekuhlt team manages to pull it off every time, improving on an already remarkable event. With the bar set high at Luftgekuhlt 3, the team had their work cut out for them. At the beginning of this year I received a call from the LuftAuto crew, saying that I ought to swing by the shop. 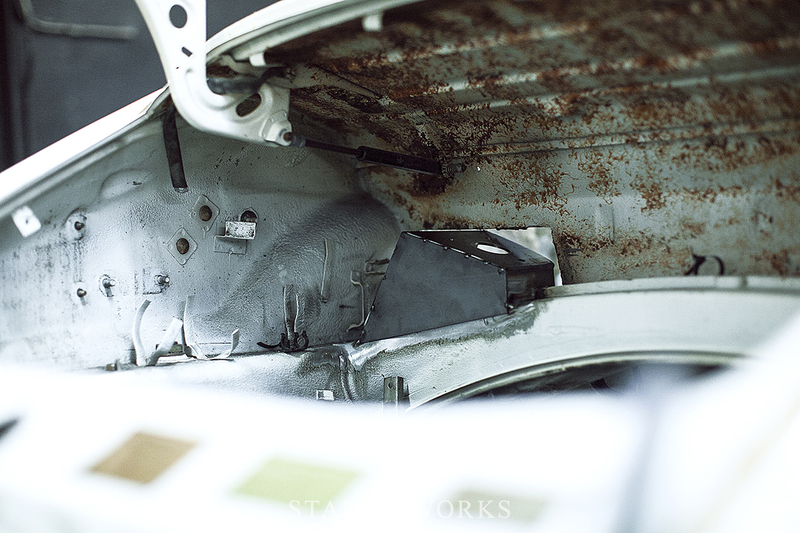 When I arrived, a stripped shell of a 3.2 Carrera sat perched on the lift as sparks shot out onto the garage floor. 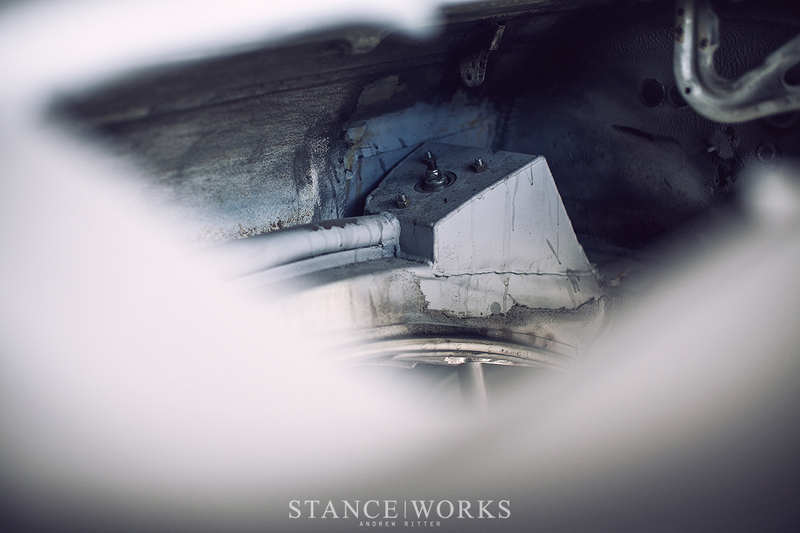 The grinder was hard at work, cutting and making room for reinforced rear strut mounts, a design inspired by the later 964 mounts. 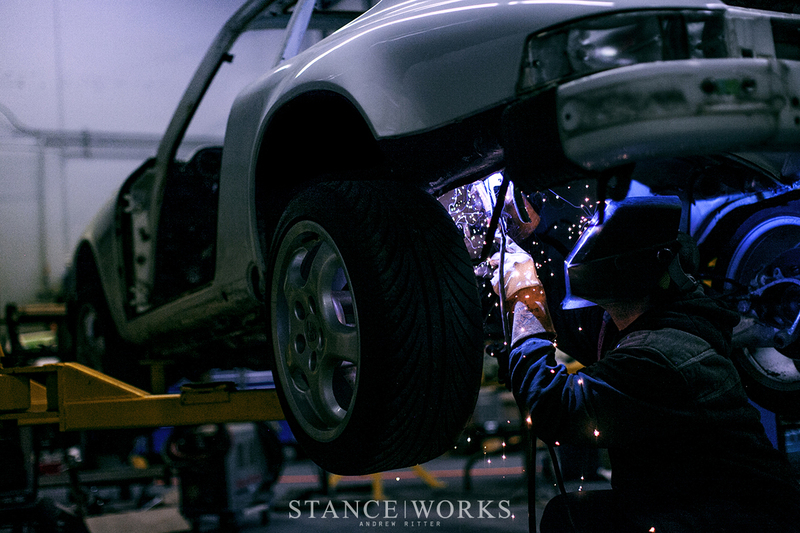 In the cabin, the welder sparked away, adding supports and a roll cage to stiffen the chassis for future abuse. 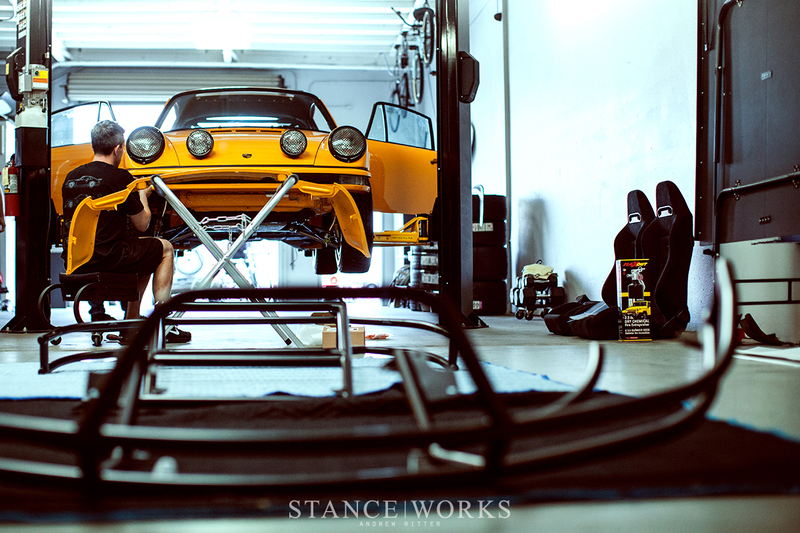 The preparations were underway, LuftAuto002 was officially coming to life. 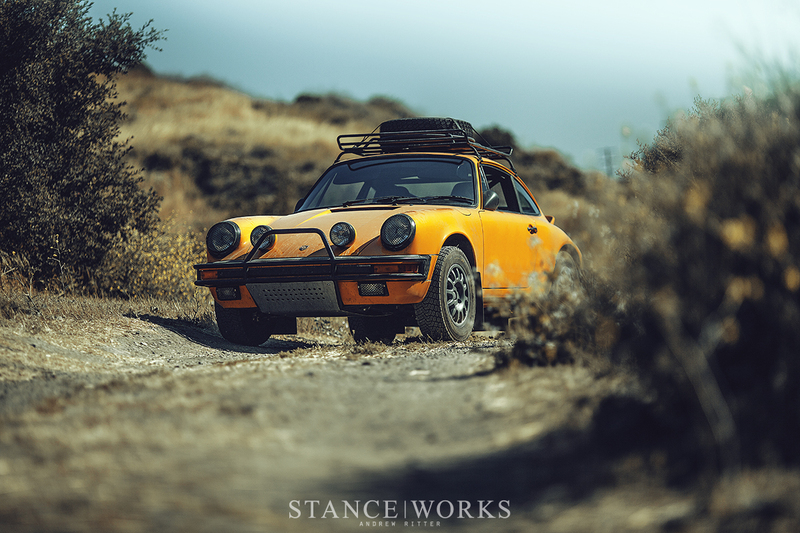 Once the initial fabrication was complete, the entire car was taken down to bare metal, correcting the small little imperfections that come with decades of use. The team was determined to leave no nook or cranny untouched, aiming to fully restore the car while injecting it with the style that has come to be from Luftgekuhlt. 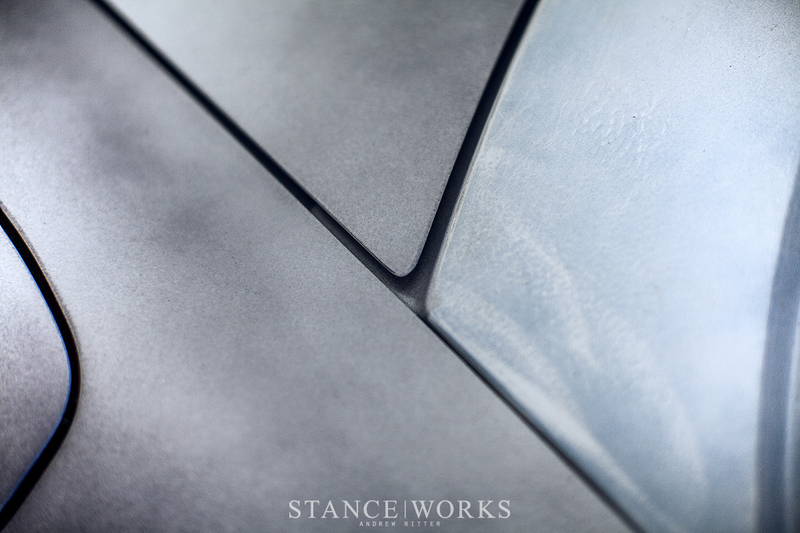 With the car in primer, the ducktail spoiler went on and the panel gaps were all honed in and aligned. 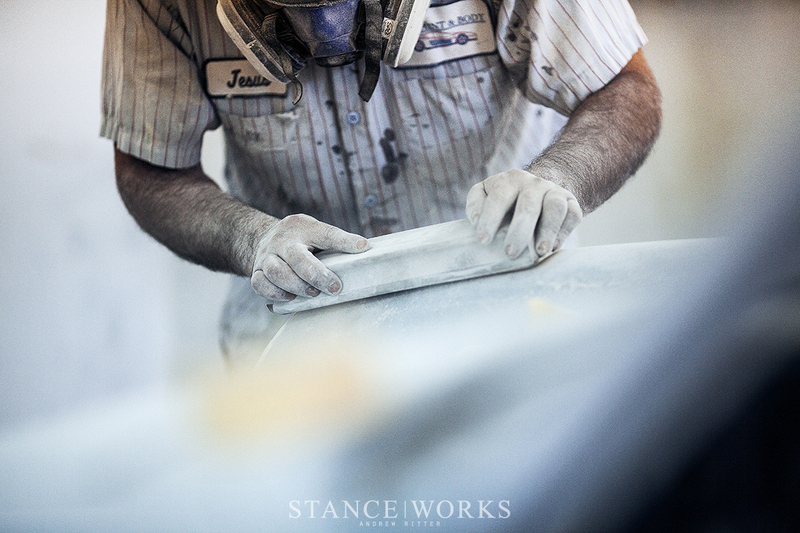 Once at the paint shop, sanding commenced to level out the canvas for the impending color. With an owner already lined up for the car, they flipped through paint samples looking for the perfect accent to follow the simple and classic white utilized on LuftAuto001. 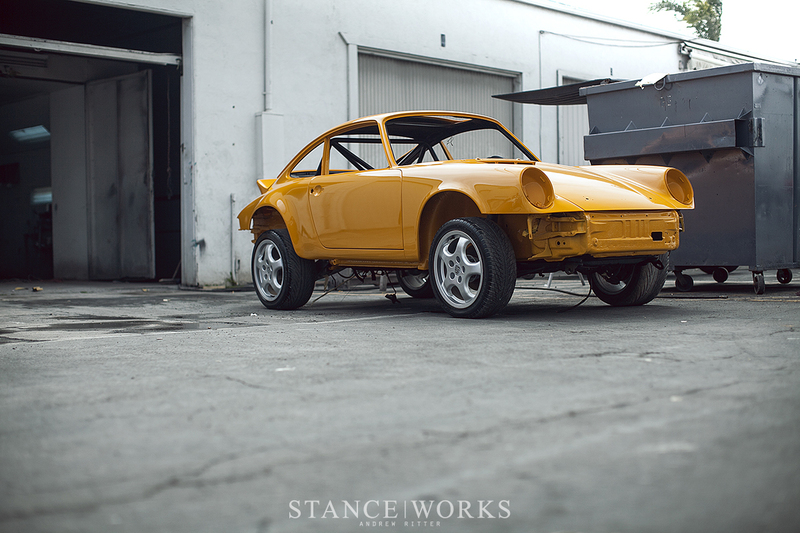 Landing on the Signal Yellow chip from the 1972 Porsche color archives, the base coat was laid on. Signal Yellow is one of those colors that you can never quite put a finger on as you flip-flop on descriptions: it constantly and inexplicably shifts colors under the light. 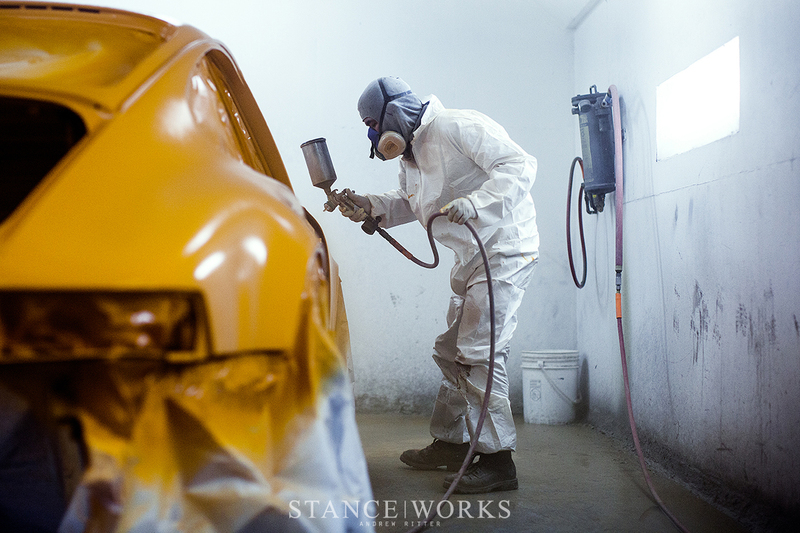 Dancing between a vibrant yellow and a hot orange, the paint began to breathe life into the bare shell, and once they rolled it out into the light, excitement climbed as the team began to see the vision coming together. 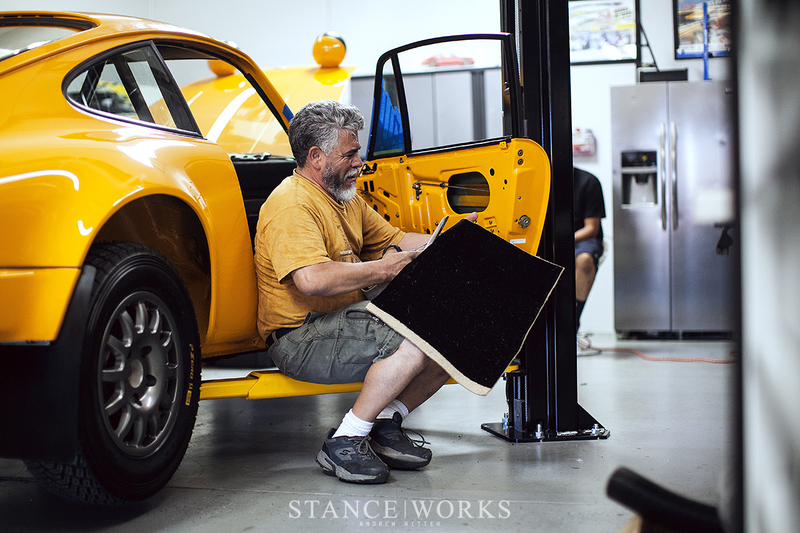 Upon completion of the bodywork, the 911 returned to the lift and it was time for Joey Seely, of Emotion Engineering, to work his magic. Joey got his start in IMSA, ALMS, and Le Mans racing, helping the White Lightning Racing 911 GT3 RSR ensure several championship victories. Along with years of experience in road course racing, Joey has logged many hours at Pikes Peak, so it was apparent why the car sat anxiously awaiting his attention. As just a shell, it was time to turn to the suspension. 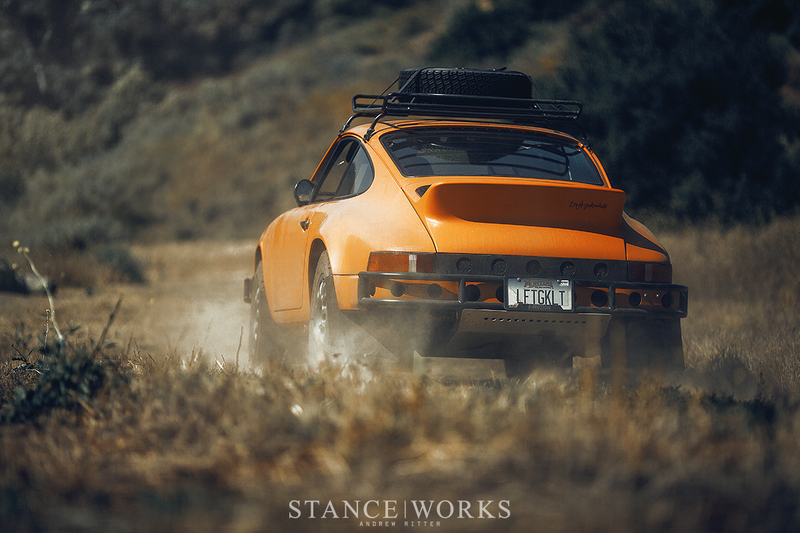 With plans of lifting the 911 to Safari stature once again, Joey began shifting the road-going geometry for an all-new setup. 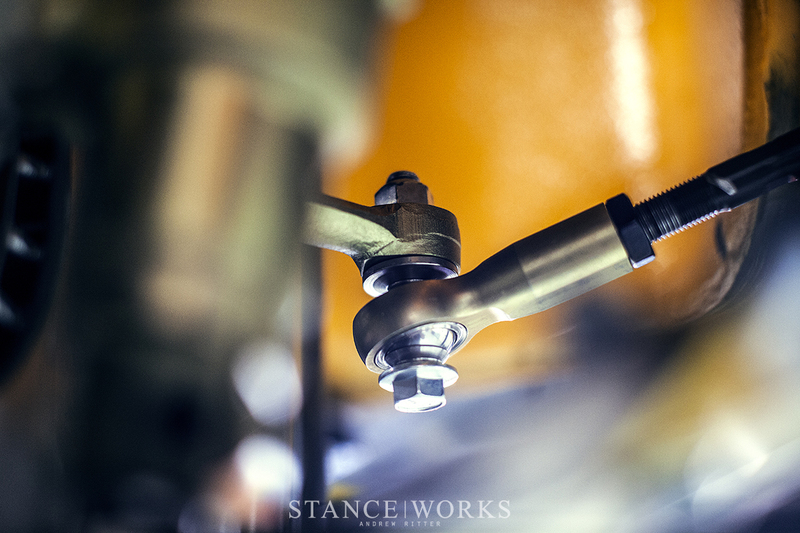 Rather than simply lifting the car and calling it a day, the pickup points were pushed down front and rear, fixing the control angles at the new ride height and aiding the roll center. 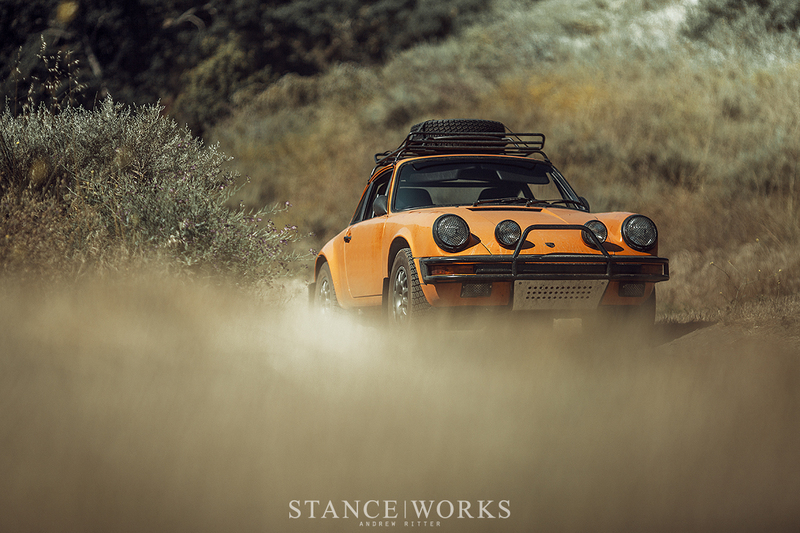 With the subframe geometry changed and spaced down, longer control arms were utilized for the offroad prowess. 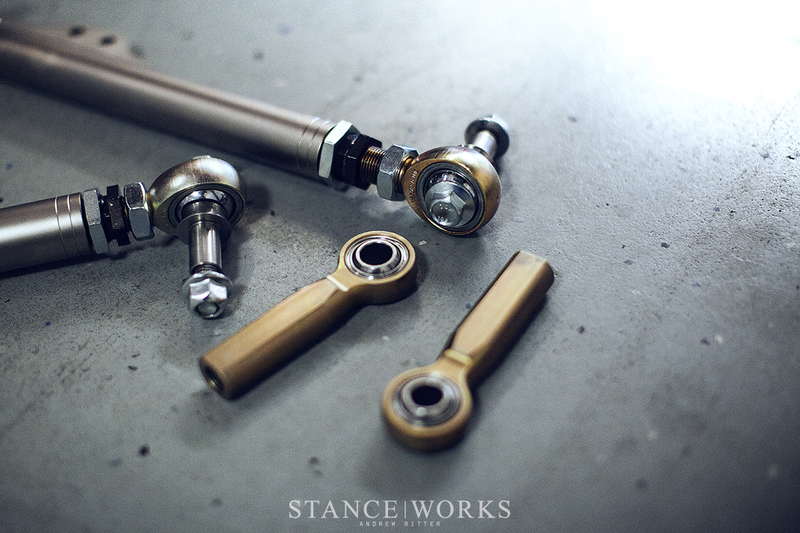 High misalignment spherical bearings at the end meant that the car could endure the increased suspension travel and abuse with ease while the absence of squishy bushings ensured a stable ride over uneven terrain. 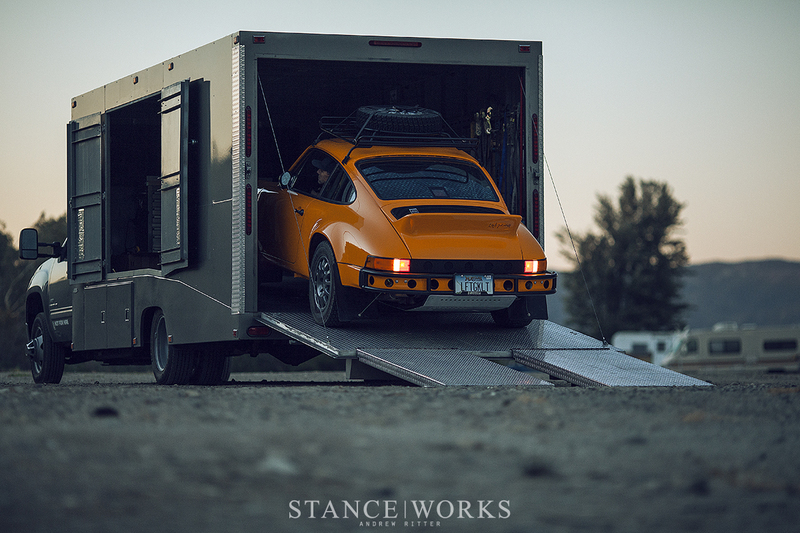 Joey tossed aside the Carrera's rear torsion bar, bolting the struts into the custom 964-style mounting points that had been welded into the engine bay. 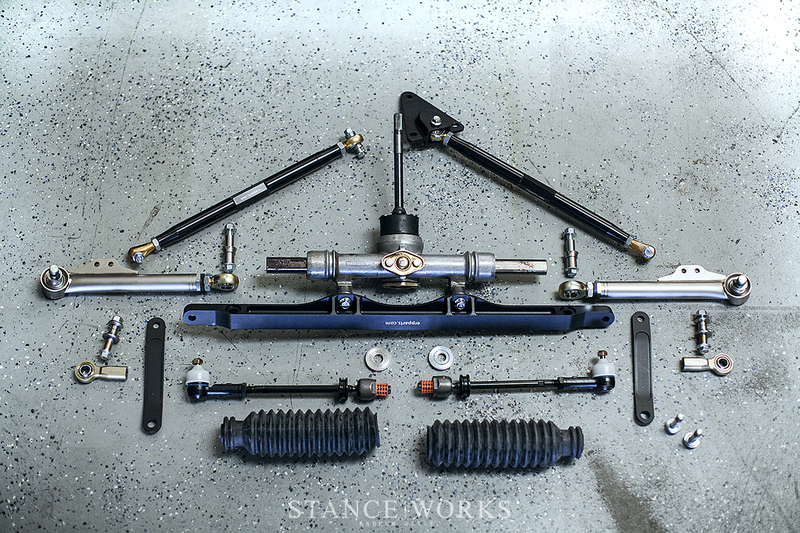 Wanting the very best, he turned to KW Suspension for the coilovers, opting for their Competition 3-Way struts. 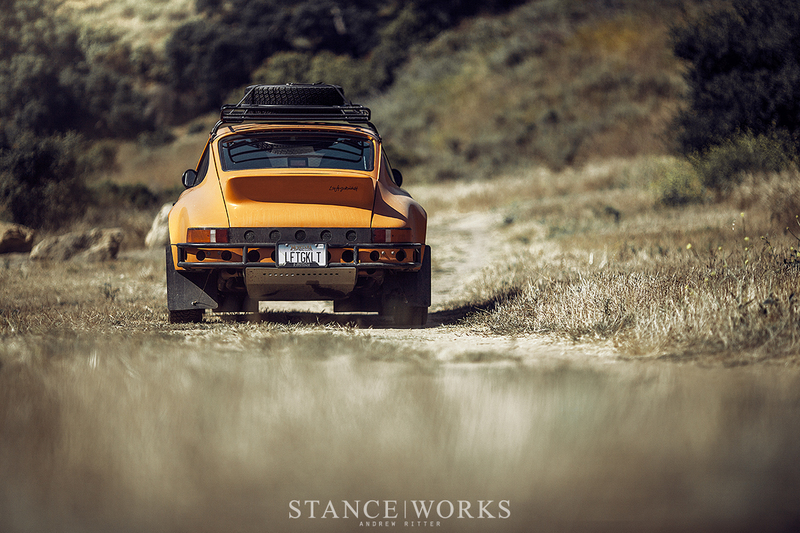 In the past, KW has helped Porsche with the restoration of one of their own competition safari 911s, so with a quick look through their archives, the crew was able to valve the KW Suspension to the same specs that had placed Porsche at the front of the pack on numerous occasions. With their external reservoirs routed into the bay and the camber plates bolted in up front, the KW Competition coilovers were stationed in the wheel wells, prepared to absorb the inevitable beatings that the car would endure. With the hubs in place, it was time to face the challenge of brakes. 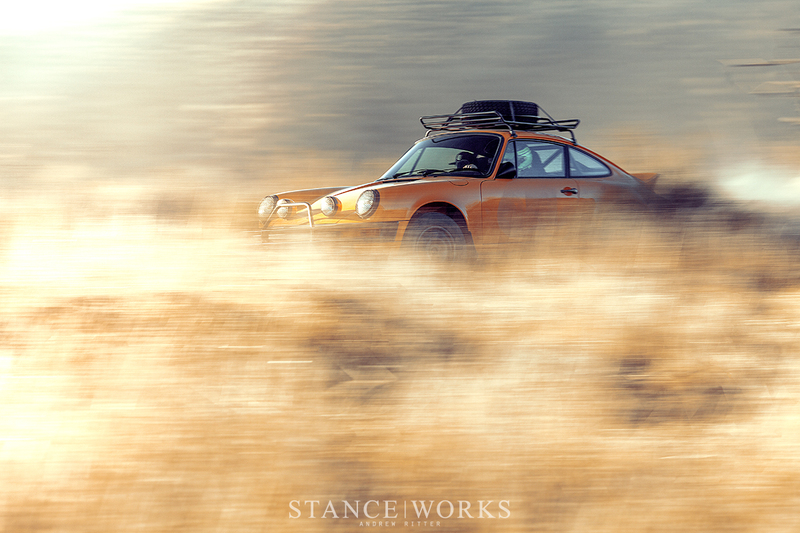 With a future destined for gravel and dirt ruts, large wheels weren't an option. 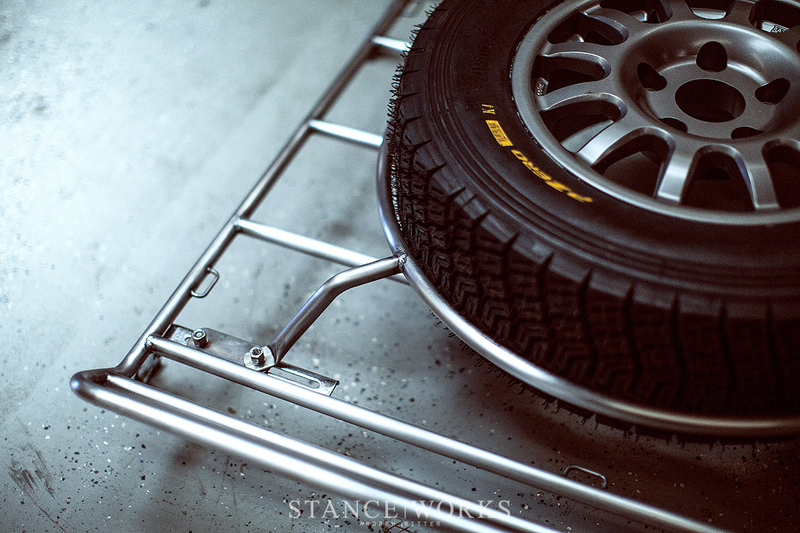 A set of 15" Braid competition wheels already sat on the shop floor with a set of gnarly Pirelli rally tires affixed. 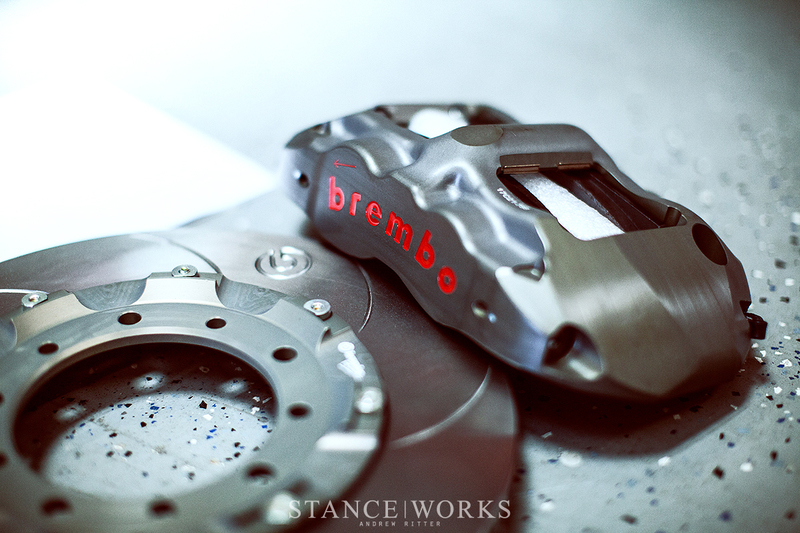 The problem stood that a lack of demand for such a niche setup meant a lack of options, but fortunately, Brembo stopped by to see if they could remedy the situation. Before long, they had assembled a competent solution, pulling parts from their motorsport line, giving the car enough bite for competition while still squeezing in under the small 15s. 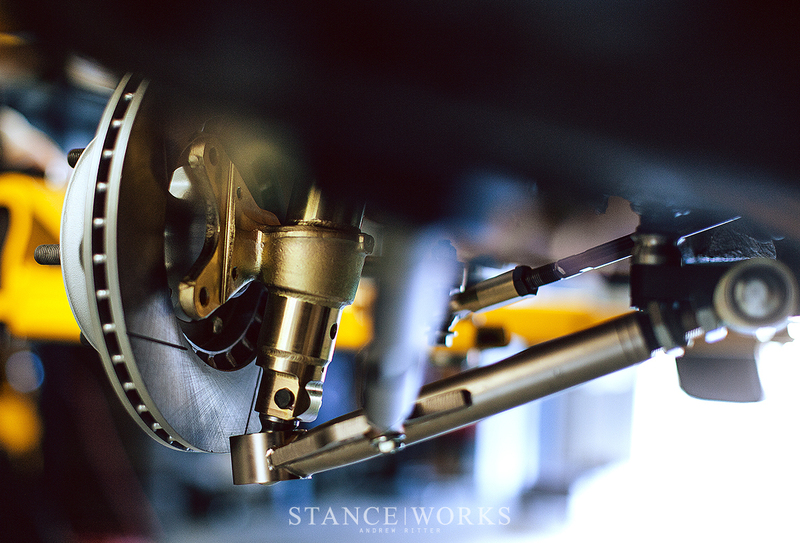 With the new rotor and calipers in place, a hydraulic handbrake was routed from the interior to aid in rotation through the slower corners. 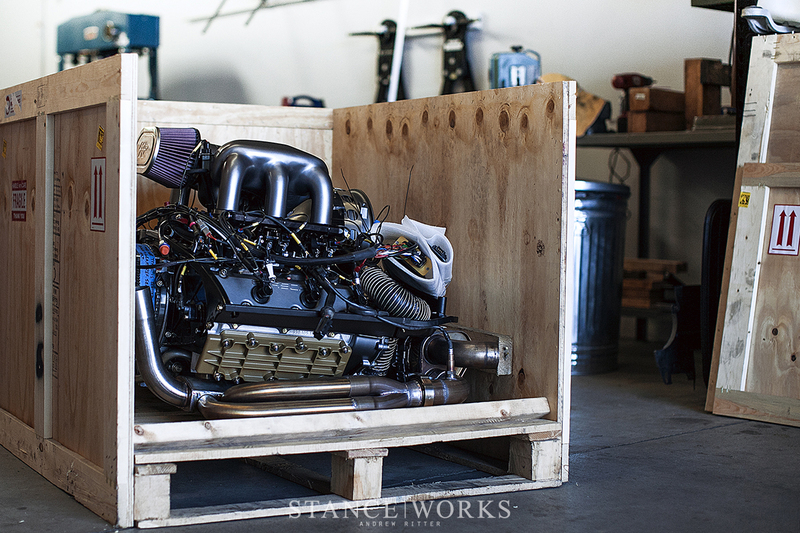 With hardware at all four corners, it was finally time to bust into the wooden box that arrived on a journey from Rothsport Racing in Oregon. 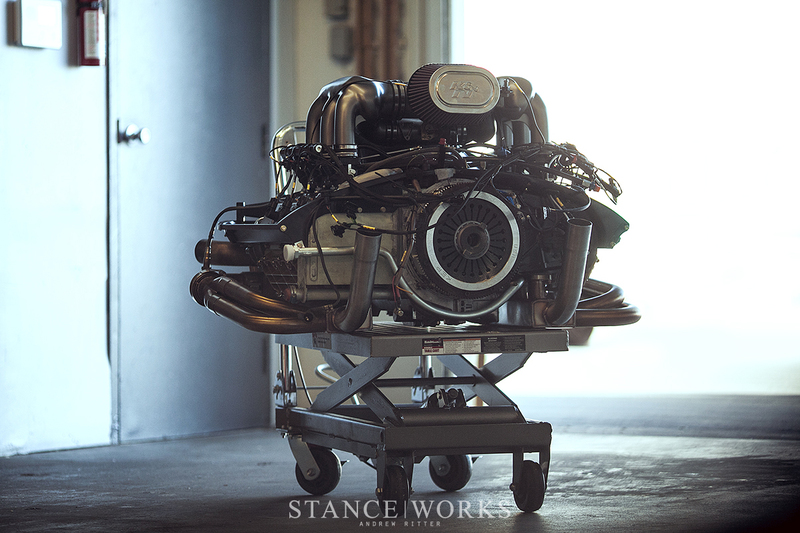 Atop the pallet sat the car's 3.2L flat-6, newly rebuilt and touting a list of parts to kick things up a notch. Jeff Gamroth had taken the old engine in, and begun tinkering with it. A set of high compression euro pistons went into the cylinders to pack more punch, and a set of mild cams were installed to orchestrate the whole thing. A Motec computer was brought in to command the new independent throttle bodies bolted below the 996 GT3 intake. Headers and exhaust completed the package, breathing through the 997.2 Turbo S muffler, utilized for its performance and tight construction. 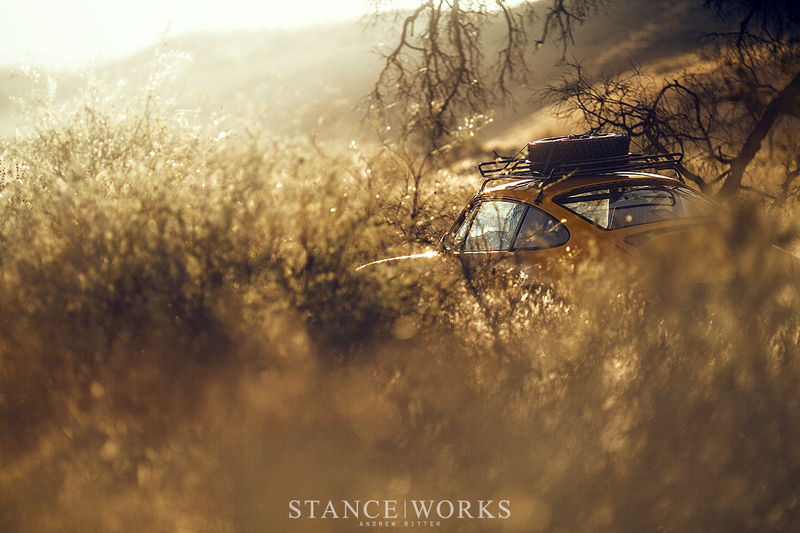 Mated to a G50 transmission, the 3.2 is sure to dig through the dirt. The G50 itself underwent alterations as well. 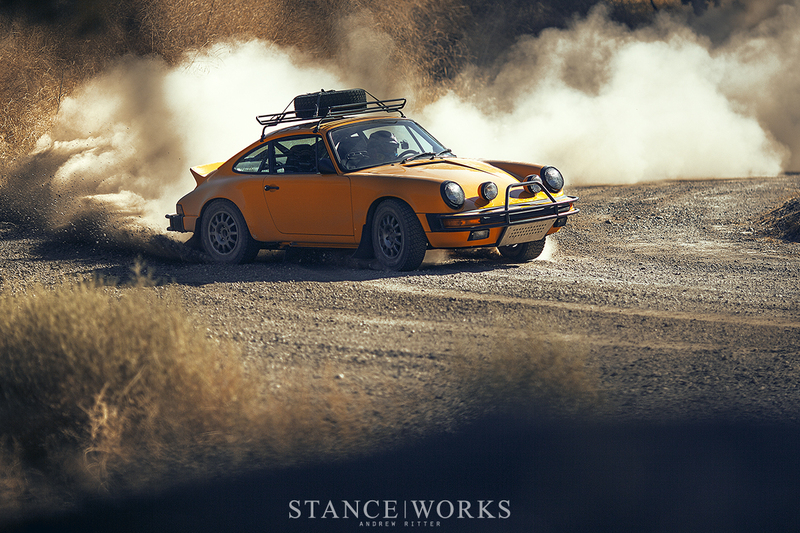 While first and fifth gear remained the same for street drivability, second, third, and fourth had been shortened with rally stages in mind. 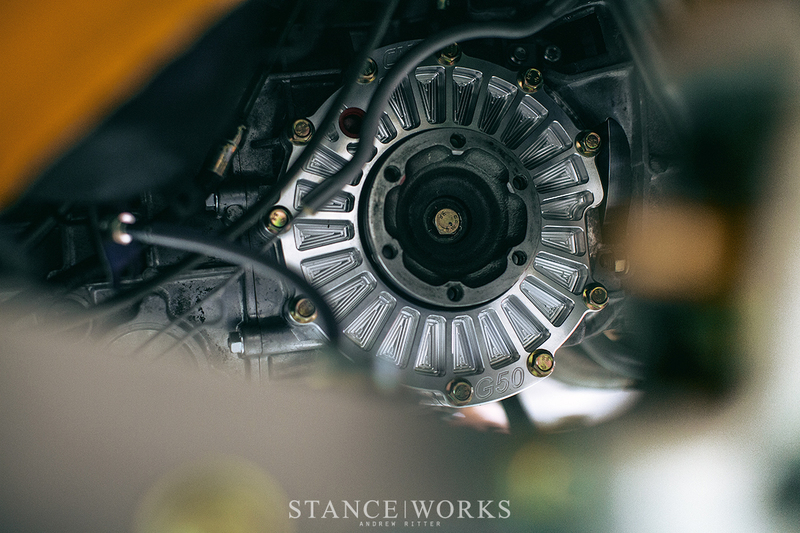 With a Guard limited slip differential helping to put the power down, the drivetrain was sorted and it began to feel like it was coming together. With many of the mechanical bits marked off of the to-do list sorted and the undercarriage taken care of, the team turned to the interior. Inside, it's clear this car means business. 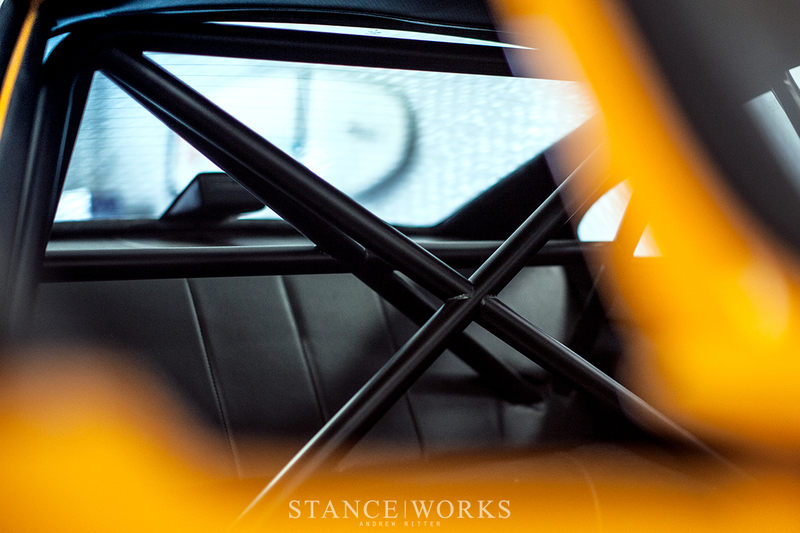 The roll bar had been painted semi-gloss black and the rest of the interior trim began to undergo a similar treatment, wrapped in a black alcantara that looked the part. 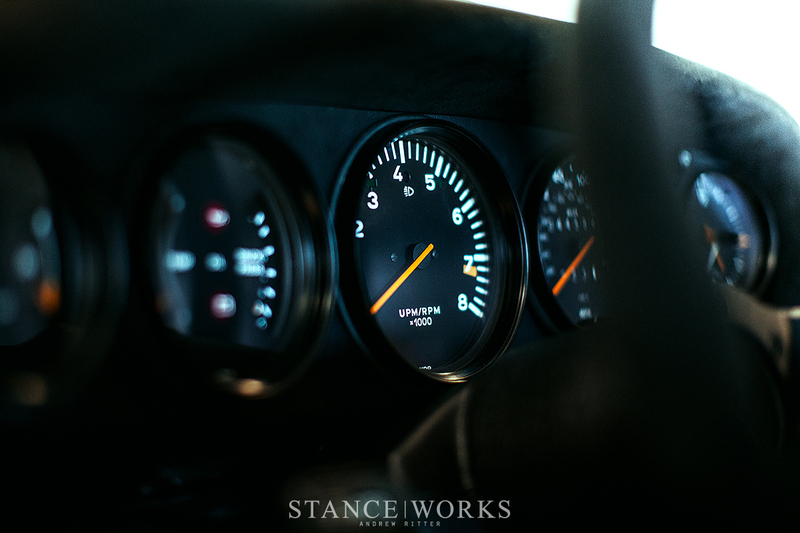 The gauges were sent out for customization: a new stepper motor prepared the tach for numerous climbs to redline and the speedometer was adjusted for the new final drive ratio. 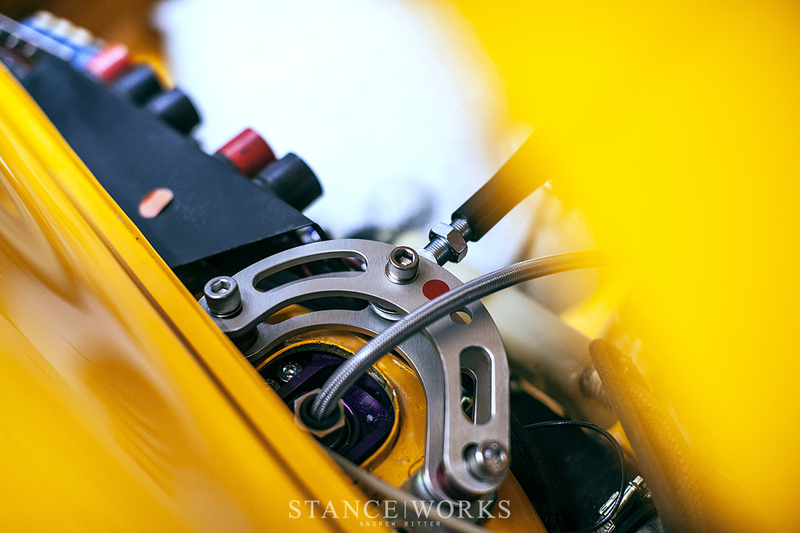 With the needles painted in a colormatched yellow, it becomes apparent that no detail had been overlooked over the course of the build. 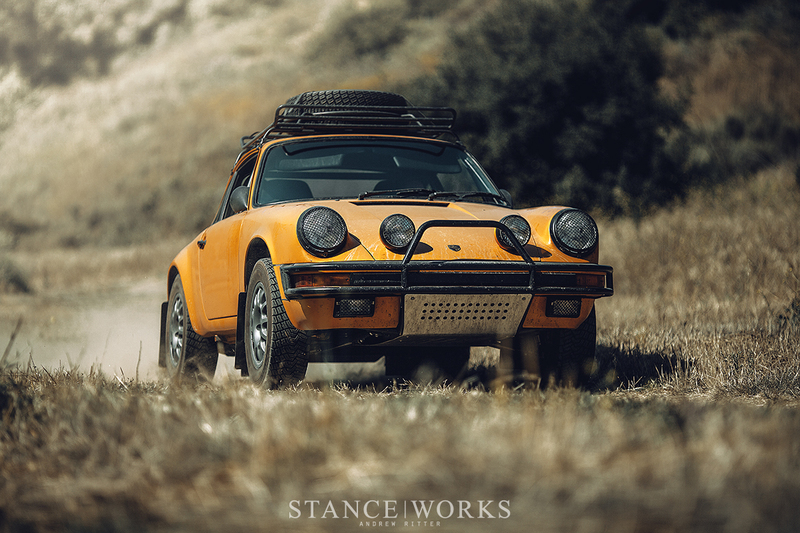 Amidst the restoration, hardware had all been coated, parts ranging from headlight switches to master cylinders were replaced with brand new parts, and 993 window seals to remove the chrome trim, leaving no piece unconsidered or untouched. Updated wiring thinned out the unnecessary accessories and cut down on weight while a conversion allowed for blade fuses in place of the old setup. For the sake of a clean install and to protect from potential damage on the trails, Joey routed the oil lines through the rockers, giving them some much needed shielding. As the build turned towards the exterior, it was time for Rod Emory to step in and work his magic. 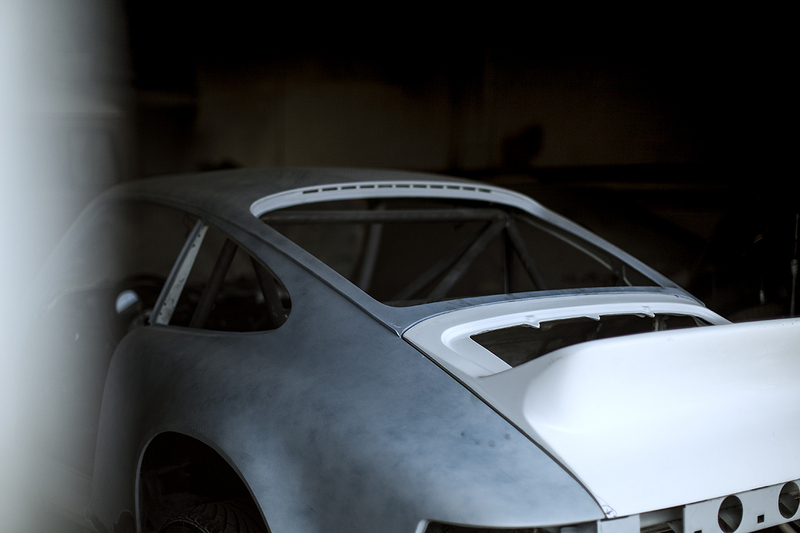 Known for his expertise in metalworking and outlaw styling in the world of Porsche 356s, Rod lent his talent and vision to the project, helping to develop some of the metal touches that give a unique accent to LuftAuto's exterior. 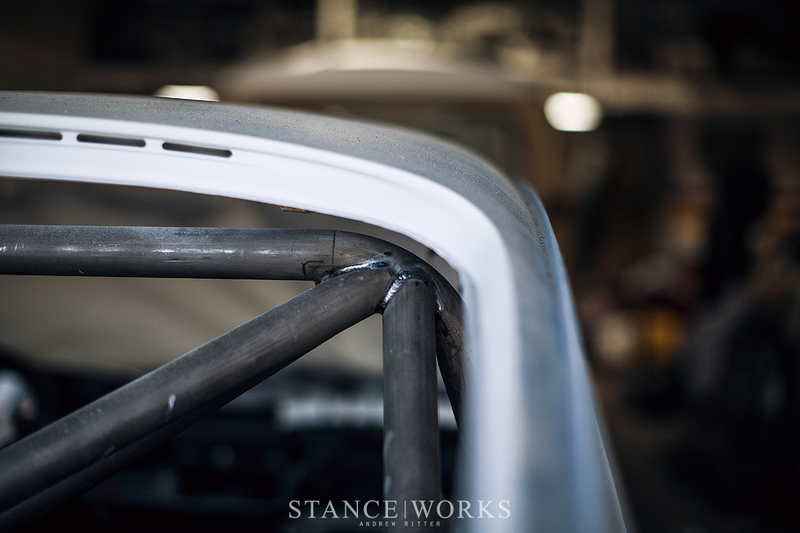 Front and rear, metal tubing hugs close against the bumper, following the original curve around to the sides. 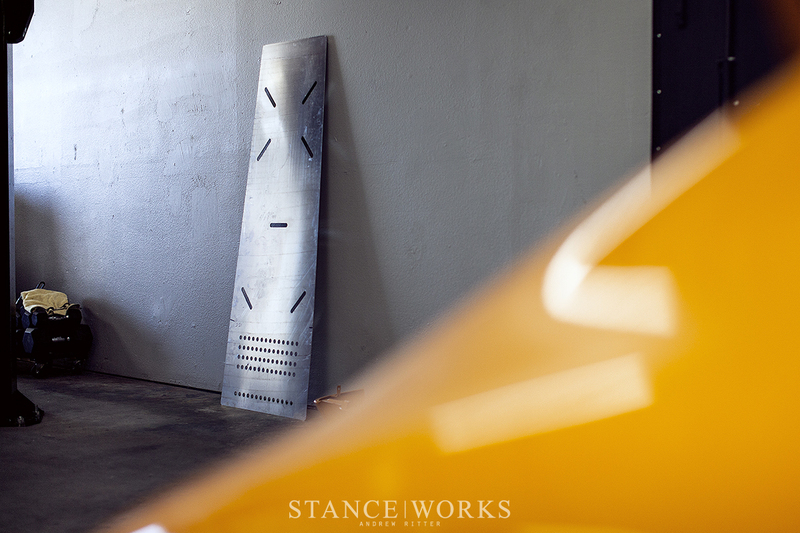 As the tubes continue down beneath the car, the gap is spanned by waterjet cut skid plates that tuck up under nose and engine to provide protection while remaining stylish and sleek. Rod Emory's special touch often comes in subtle, unique renditions of standard everyday parts and it was present in the LuftAuto build as well. Topping off the car is a roof rack from the Emory Motorsports garage that employs an interesting halo concoction to keep the spare tire in place while the car whips its way through the hills. 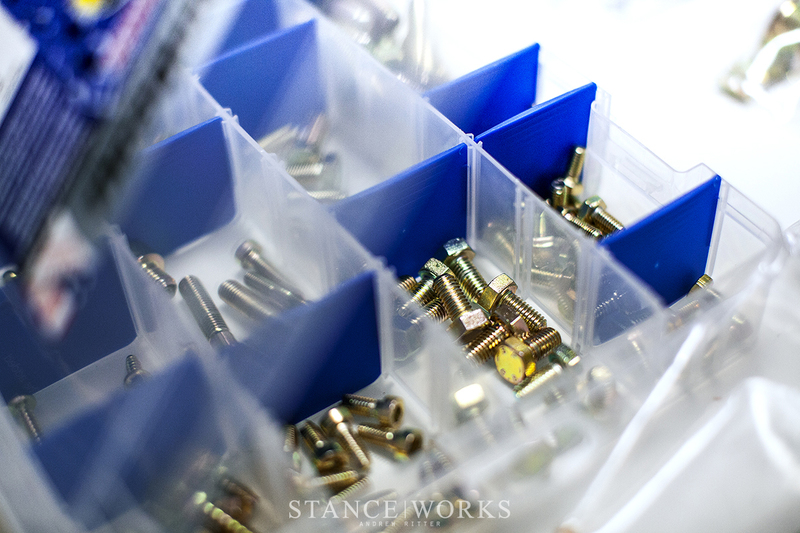 The result is a very functional part that also plays to the custom aesthetic that Rod is known for. A few months later, after an incredible Luftgekuhlt 4 had come and gone and the team had a chance to rest after LuftAuto002's completion, I found myself awoken by an alarm far too early in the morning. Joey and I hopped in the car hauler under the dark of night and set out on the 405 to meet up with the rest of the crew. Jeff Zwart had arranged a proper test session for LuftAuto002 and the call time was an early one to take advantage of the beautiful morning light. Jeff is someone whose talents span an interesting spectrum. 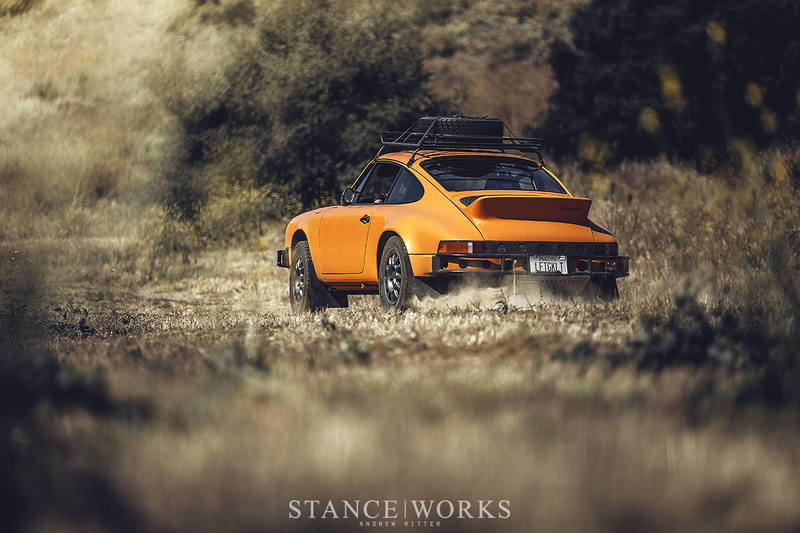 His photography and film portfolio include commercials and advertisements that pepper my childhood memories, and many of the Porsche ads that left us all dreaming as kids probably came from his film canisters. At the same time, Zwart spends an equal amount of time behind the wheel with a racing career that largely revolves around the Pikes Peak International Hillclimb. 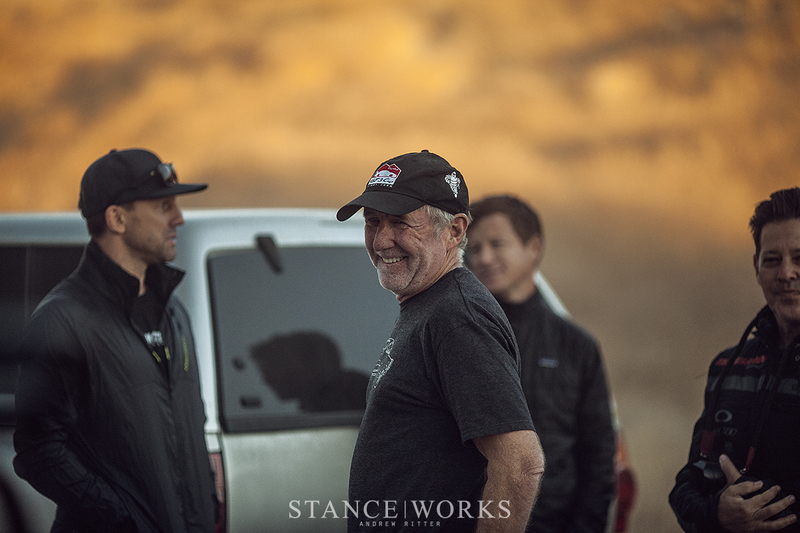 Having driven 10 different Porsches to 8 different class championship wins at Pikes peak, and enduring grueling ventures such as the TransSyberian Rally, the Baja 1000, and the Panama-Alaska Rally, Jeff seemed to be the perfect person to lead. 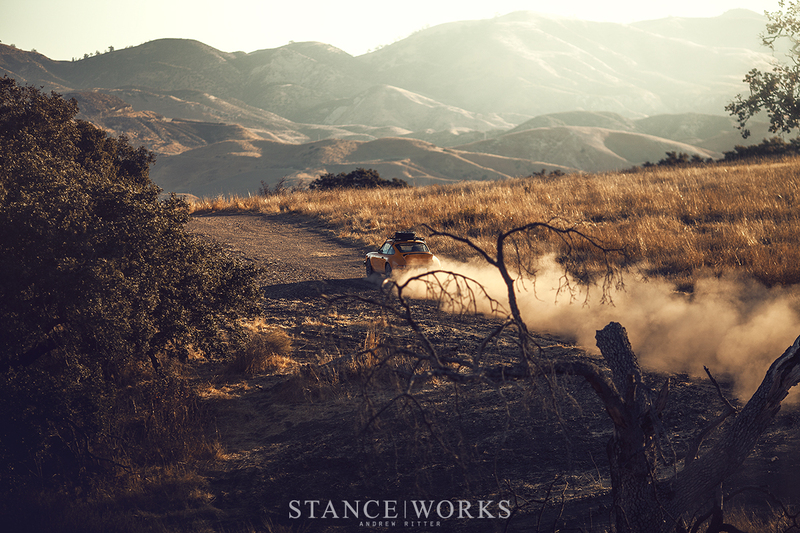 With such noteworthy experience in the world of automotive photography and film, Zwart prepared me and the guys at Race Service for the morning shoot. Showing us the ins and outs of the dirt venue where he had shot so many commercials before, he took us around the dirt course and we readied ourselves for the first run. With our cameras set up and aimed at the quiet trail, Jeff turned back to his motorsport routine and got behind the wheel. With years of experience tossing various Porsches into harrowing corners at speed and climbing Pikes Peak fighting against the clock, it'd be hard to come up with a better person to give LuftAuto002 a proper shakedown. 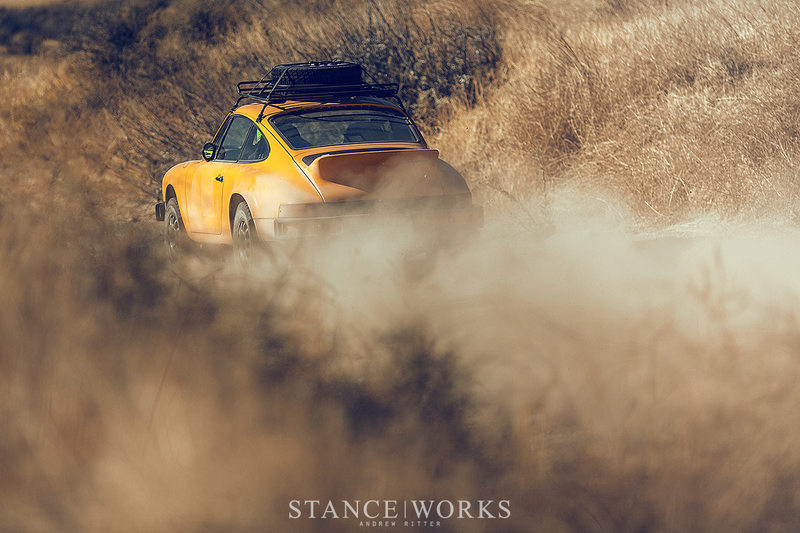 In no time, the 911 was kicking up gravel and tearing through the tree-lined paths. 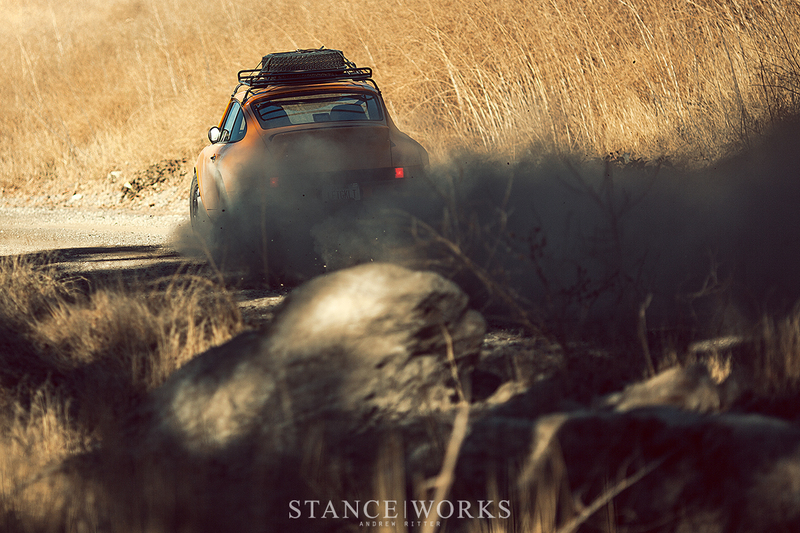 Carving a dust cloud through the hills, the car performed flawlessly out of the gate. After a few laps, Zwart pulled into our temporary base camp and gave his initial impressions. 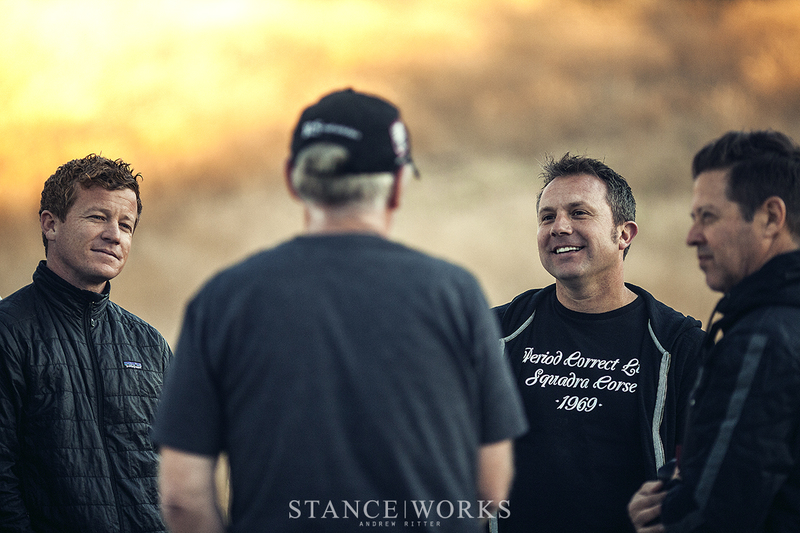 Spirits were high as the group discussed the first impressions and a lasting grin shown across Jeff's face. With the first runs in the book, it was time for the fourth member of LuftAuto to give it a rundown. 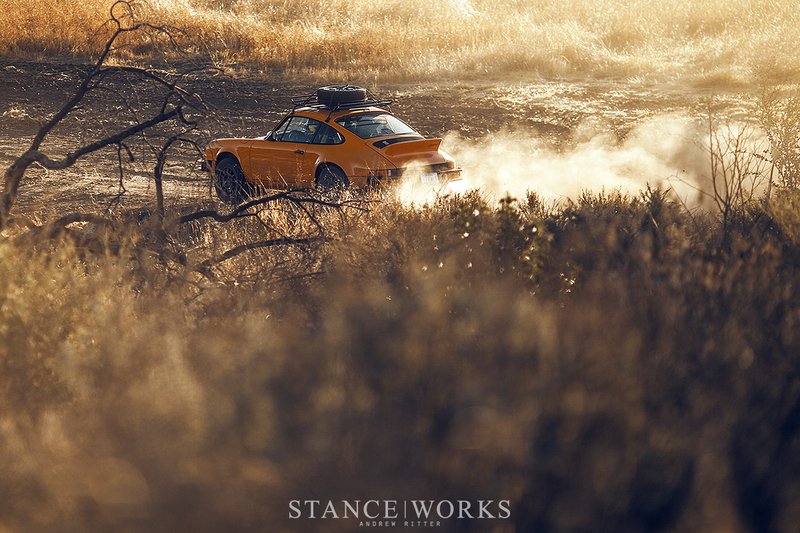 If you're familiar with Porsche racing, then you know the name Patrick Long. Patrick is the only North American on Porsche's factory racing team, and his list of achievements sheds light on the honors he holds in sportscar racing. With class wins at the 24 Hours of LeMans, 24 Hours of Daytona, 12 Hours of Sebring, and Petit LeMans, he clearly has a knack for endurance racing, and championship wins through ALMS and the Pirelli World Challenge speak to his talents in sprints as well. 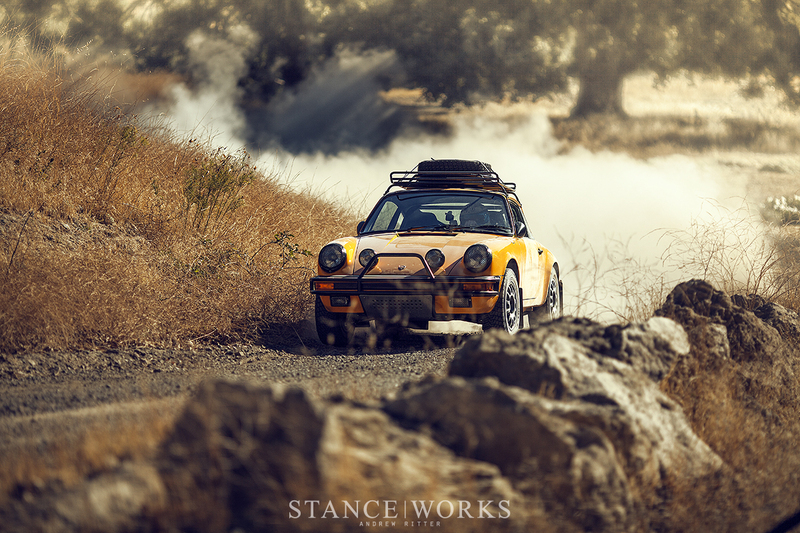 Somehow, amidst all of that racing, Patrick Long still finds time to enjoy Porsches on an enthusiast level as well, working on his own Porsches and racing in vintage events whenever he can. 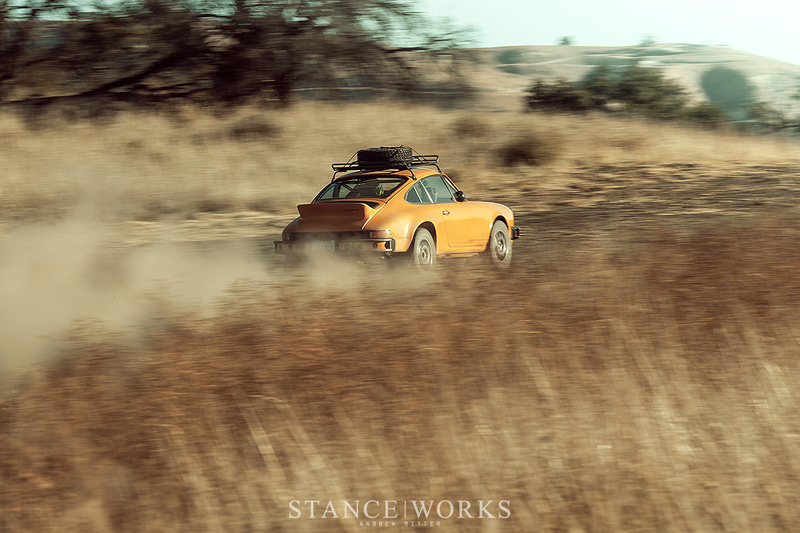 As one of the founders of Luftgekuhlt and one of the brains behind the LuftAuto builds, Patrick stood, eagerly awaiting his chance to kick up some dirt. With each pass, Pat became more and more comfortable with the course and the car, finding more speed with each lap and kicking the tail around the turns. Familiar with a thorough stable of Porsche race cars, he put his knowledge to use and really tested the cars abilities and limits. 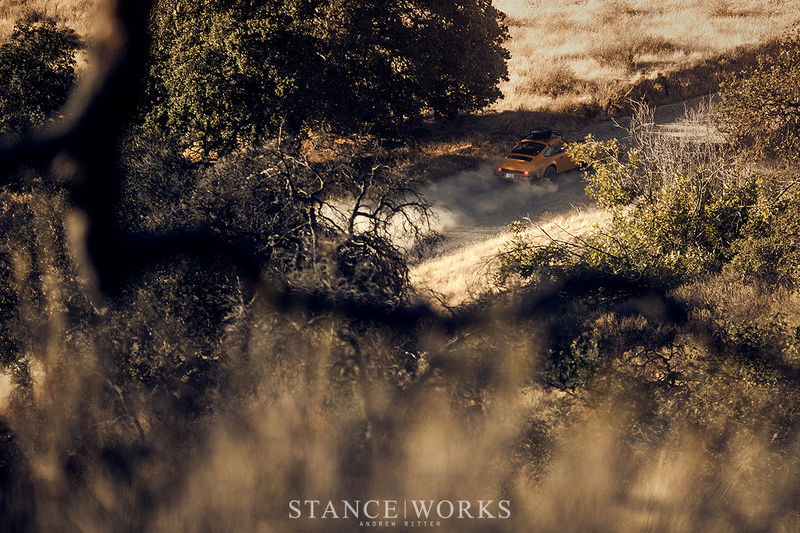 The car floated right through the ruts and glided around the bends without slowing down. The sun rose as the day rolled on. Jeff and Patrick took turns taking the car out, and it quickly became clear that they had done it. 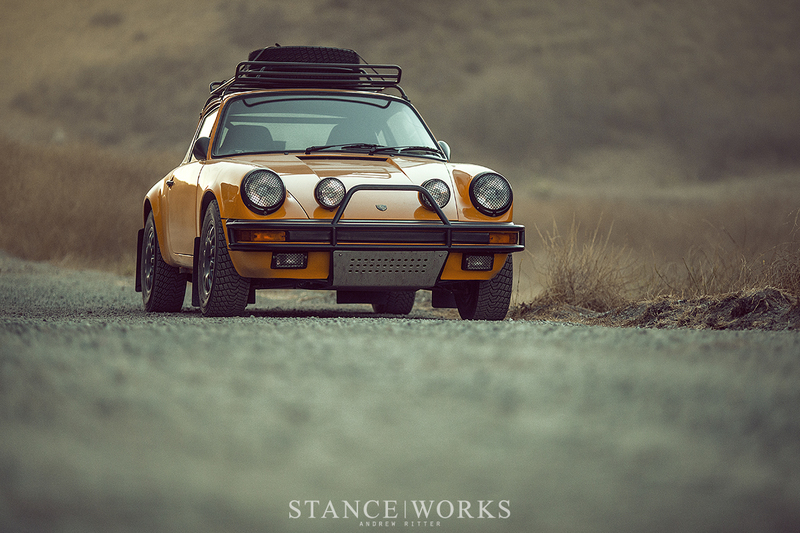 Their goal was to build a Porsche as if it had rolled out of Porsche as a factory cup car, ready for public purchase. 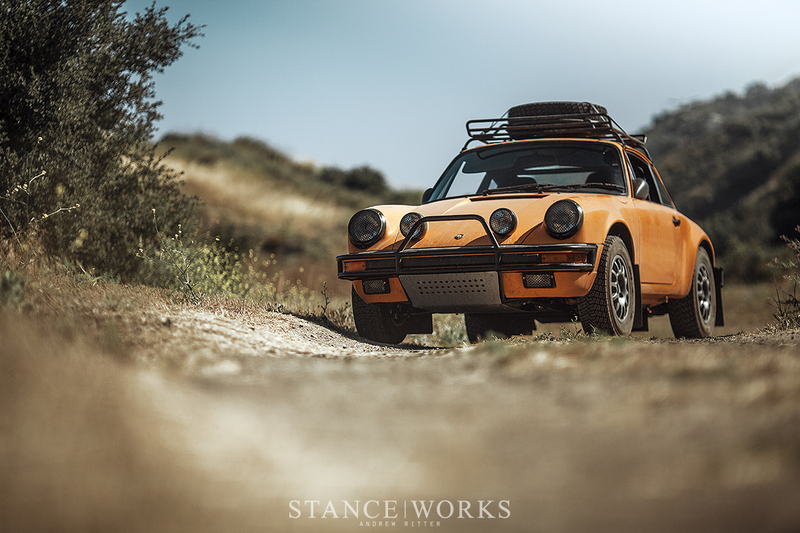 Their goal was a restoration that was thorough and refined as if it were a brand new 911 built for competition on this sort of rugged terrain. 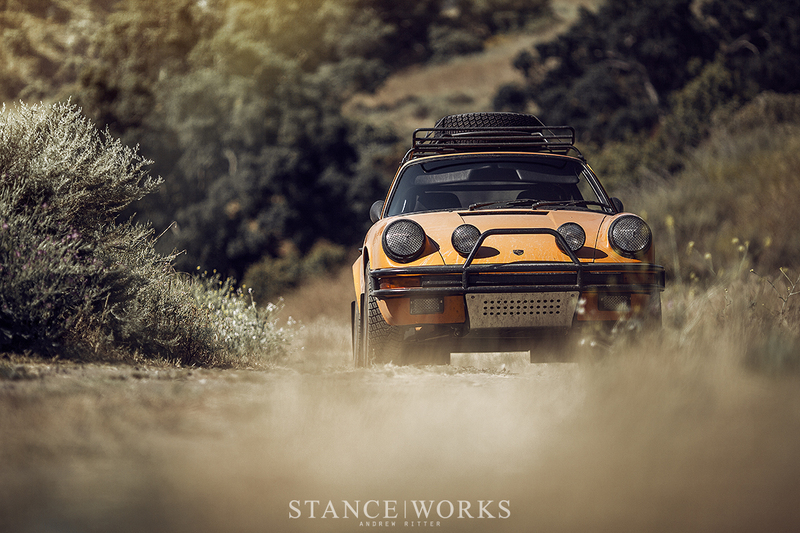 Similar to their continued improvement on the Luftgekuhlt show, LuftAuto002 was an improvement on the standard they had set for themselves with the first safari build. Leaving no bolt unturned or detail unconsidered, LuftAuto002 emerged as a beautiful example of a Porsche race car, and after a morning of testing, it was clear that it could back up the style with performance. Coming from various corners of the automotive world, Jeff Zwart, Joey Seely, Rod Emory, and Patrick Long form the dream team behind Luft Auto, each one bringing a different set of skills to the table. 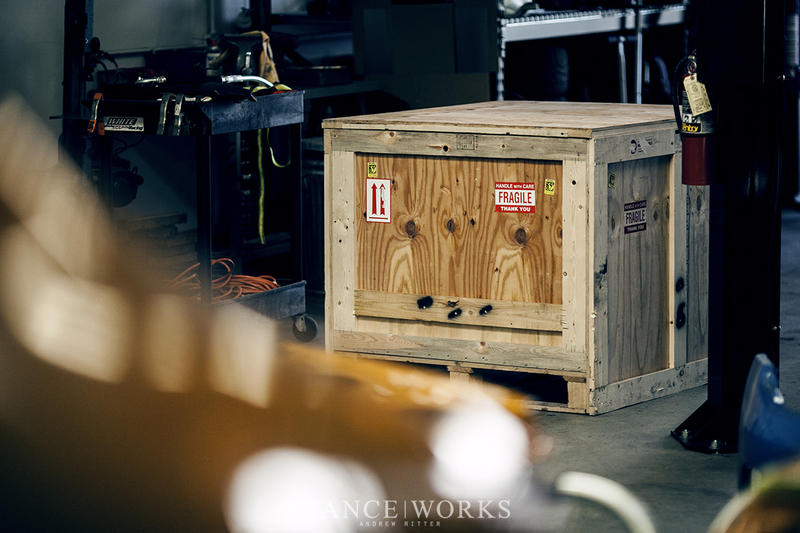 As experts in their own respective crafts, the teamwork between the four of them has resulted in an incredible automobile, and there is something special about creations that grow from such collaboration. With 2017 nearing to a close, I find myself, once again, curious how the guys will ever manage to top themselves, but I've come to learn that they will inevitably pull it off somehow, and I can't wait to see it. Nice read and stunning photos, I will definetly like to have a few wallpapers of this beauty.